Zoanthids and Palythoa are common in coral reefs around the world. 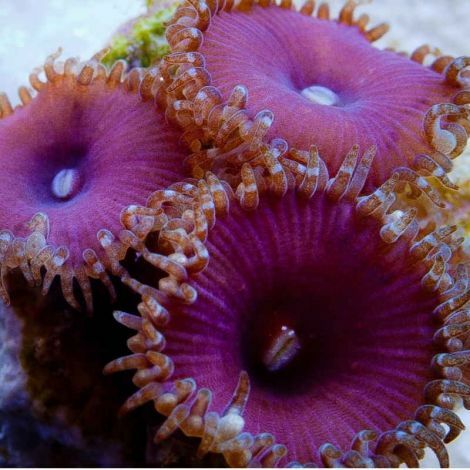 Their incredible array of colors and patterns make them popular to reef hobbyists. 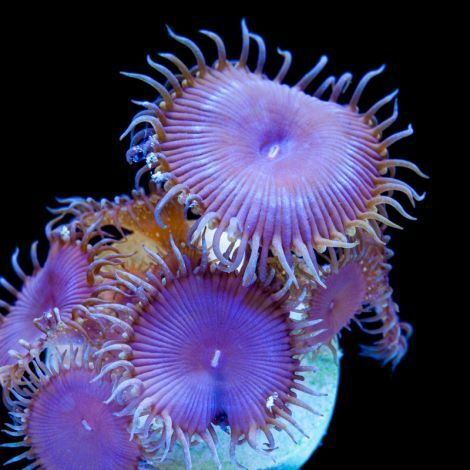 There is no scientific consensus on Zoanthid and Palythoa phylogeny. In layman's terms, it is unclear where Zoanthids end and Palythoa begin. Coral taxonomists whittled down the number of species from 300 to around 50. We chose to go with hobbyist naming conventions rather than scientific naming conventions. 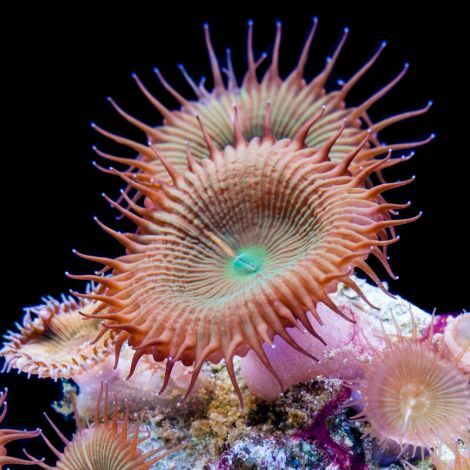 We group larger polyp individuals into Palythoa and smaller polyp specimens into Zoanthids. Some Zoanthids and Palythoa contain powerful neurotoxins called palytoxin that can be harmful. For this reason, take special care handling these polyps for this reason.